A technology based real estate group in Ocean & Monmouth Counties that is dedicated to the complete client experience. Thank you to the Asbury Park Press for the use of their photos that helped to make this video possible. Every year, in April and November, dozens of restaurants put their best plates forward for Jersey Shore Restaurant Week. The 10-day tribute to local dining, which kicked off on Friday November 3rd, began in 2009 when Jim Flynn of Wall, creator of Shorefoodie.com, decided to replicate a dining experience he encountered while traveling: an annual event that inspires diners to take a seat at a new restaurant. How does it work? From November 3rd to Nov. 12, participating restaurants offer a prix fixe three-course meal – lunch, dinner, or both – for $15.17, $22.17 or $32.17. On Saturday, my family and I went out to Elbow Room in Bradley Beach. More than 80 in Monmouth and Ocean counties will take part in Jersey Shore Restaurant Week. 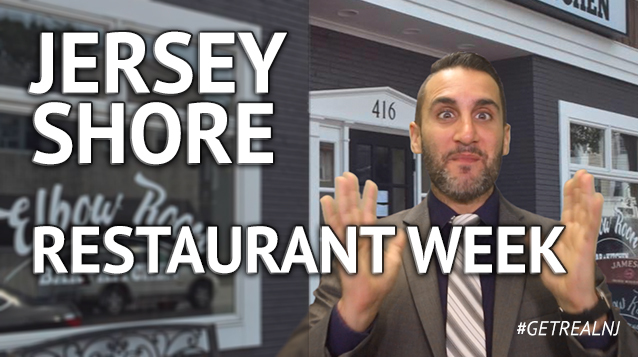 For a complete list, visit www.jerseyshorerestaurantweek.com.